It's all happening! Exactly 3 weeks ago today we secured funding for Stage 1 of our Farm Project to go ahead. 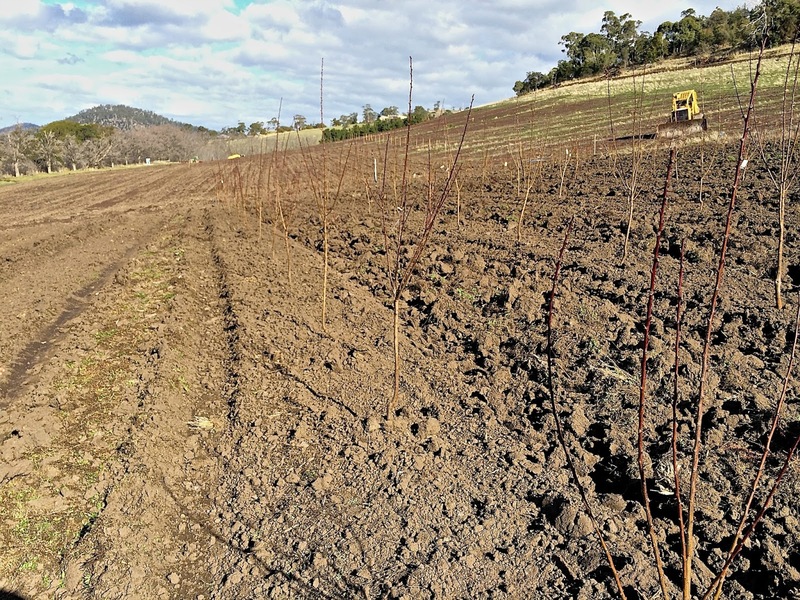 Stage 1 is all of the Orchard and Berry plantings along with the Vineyard and a smaller Farm-Gate building at the bottom of the site near the road. I think elsewhere in the world it would be referred to as a Farm Shop of sorts but it will essentially encompass the Chocolatier, the retail/fresh produce outlet as well as a gorgeous Cafe. It has been the cause of much celebration to finally see our little dream turn into a reality. It has also been 3 weeks of enormous activity and pressure as we are racing against the clock to get everything prepared and in the ground before Spring, less than 2 weeks away! We immediately welcomed Jamie to the team, a Farmer who has worked in the area for a long time and has been an absolute legend and has embraced the concept of a family business with open arms. He arrives at 7am into our chaotic kitchen and we try and have a coffee and a morning chat about work as Flynn climbs up his legs for a cuddle whilst we deal with the everyday interruptions of spilt milk at the breakfast table, school lunches and the search for missing socks, books and whatever the new puppy has found to chew up that morning. Things are moving so fast that I'm running the risk of not having any "before' shots, so this is just a little update of what's been going on. Old fences have been removed, new fences put in and all the of dreaded Box Thorn has been removed from the top of the paddocks. 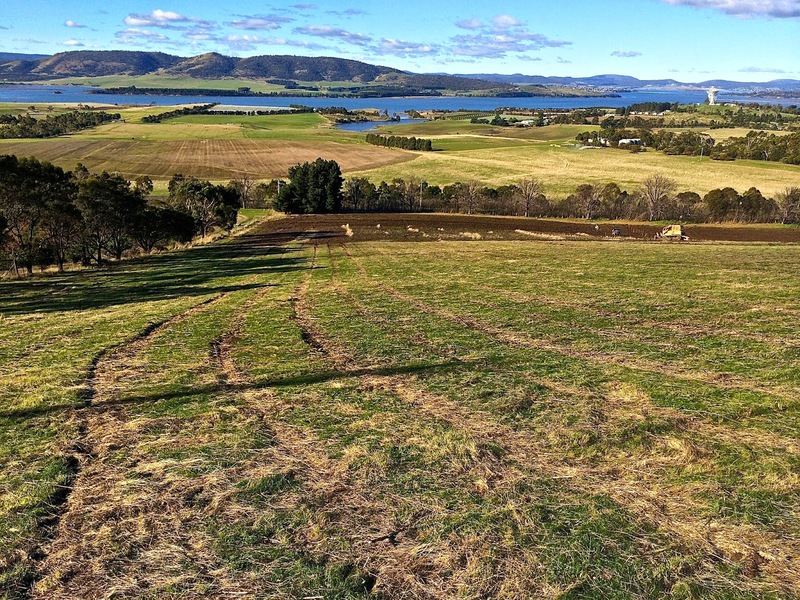 We have a new road at the top of the Project site (below) which will provide a safe turning circle for the tractor as it reaches the top of each row as well as being a nice flat viewing platform for visitors picking their own fruit from the Orchard to look out over the Coal River Valley. The road will have another pass over with the bulldozer and smoothed off at the edges and grass planted over the top. All of the trees and berries have been ordered and delivered. There are over 2000 trees with numerous varieties of each type of fruit, 15 000 Strawberries, 10,000 other Berry canes, 10,000 grape vines and a large flower bed. We have a portable fridge on the driveway to house the plants and we cleared out the shed for the ones that didn't fit. Aside from the grapes which will be planted in Summer, all of the above will need to be planted over the next couple of weeks. That's a lot of plants! It is going to be a busy couple of weeks. Meanwhile, there is no time for luxuriating under the stars in the outside bath but it is still being put to good use bathing the roots of the trees in a special solution before planting. 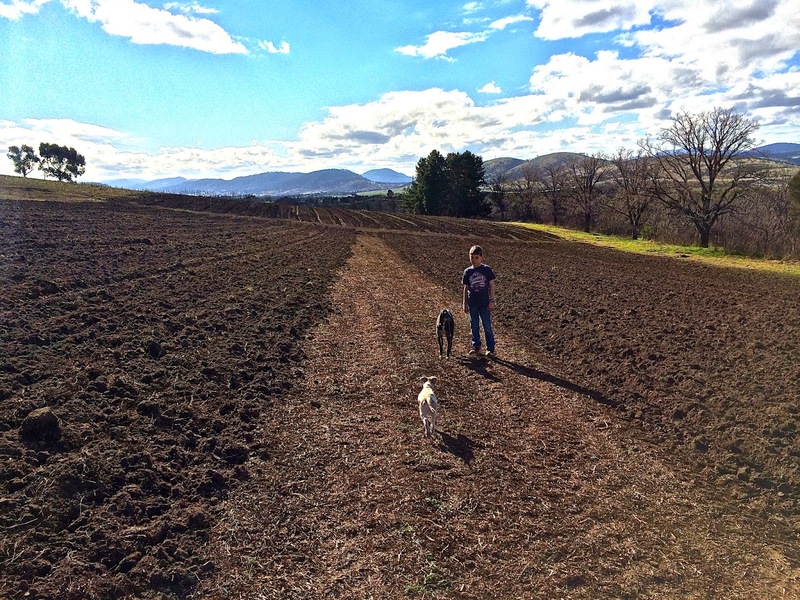 The paddocks have been worked over, fertilised and deep ripped. 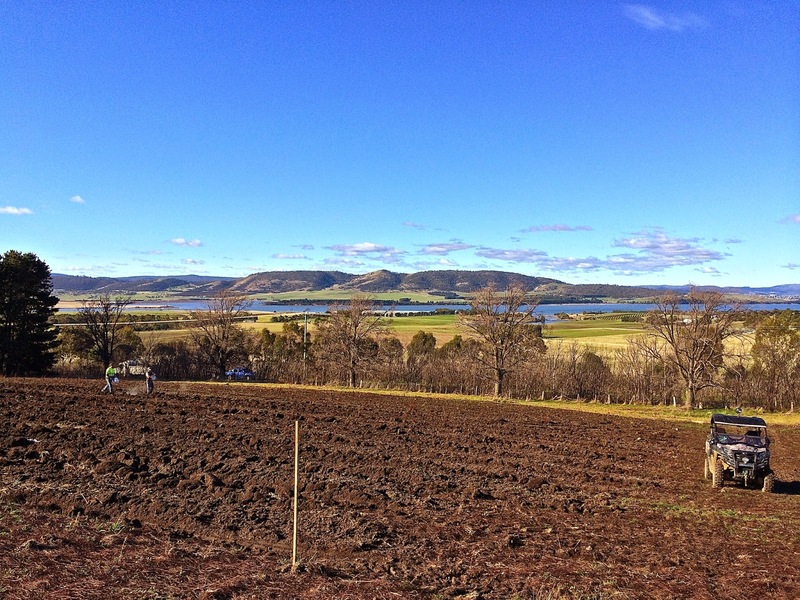 The first 300 Apricot trees were planted on the weekend. The cherries will go in tomorrow. Looking north, the Strawberry bed is ready to be planted out on the left and the other berries on the right. Looking south, the bed to the left will be more Strawberries and the one on the right that I'm most excited about is the Flower bed. 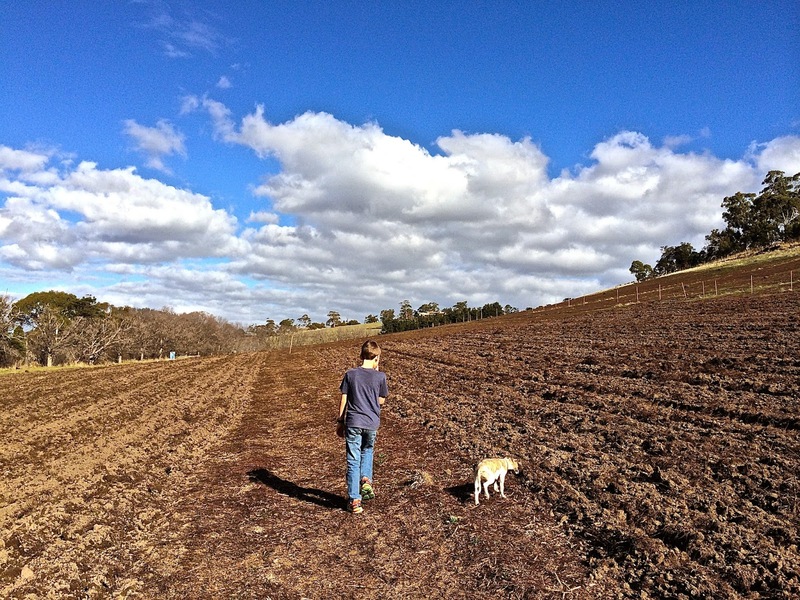 These upper grassy slopes will be where the Vineyard will go and tomorrow it will all be ploughed over and sown with Oats until ready to be planted out in Summer. And because I am a glutton for punishment and fell head over heels for his little Whippet puppy eyes, here is our new addition to the circus, "Rocket". As an aside, apologies for falling off the blog without notice. I didn't anticipate it. The start of this Project has brought about two rather conflicting revelations. The first is that there doesn't seem to be much time available in the evenings to dedicate to blogging anymore - the older children are now staying up a bit later and Daniel and I are needing the evenings to chat about work things now too. An obvious solution seemed to be what I hear other people doing and that is to squeeze some time out of the mornings before the children wake up. However, the second revelation I've had, as highlighted by the arrival of Jamie at the crack of dawn, is that I'm not at my conversational best in the mornings or at least in the first hour before the 2 coffees have worked their magic. This will no doubt translate to my blog writing so please bear with me as I embark on this new phase of life I'm going to call "Mel gets cheerful in the mornings". I wrote this Post this morning and it was hard and did feel very strange. I'm hoping it won't take too long to find my morning groove. Wow, quit a lot of work done there. thumps up! All so exciting!! You guys must be high on a cocktail of emotion and exhaustion just now. I do hope you can build some downtime into your days soon. And meanwhile ... good luck! As for Rocket, he is beautiful! Good luck with the planting, wish I was closer so that I could come and give you a hand. Oh golly, golly, golly, you guys have been so busy and about to get busier! I am looking forward to watching your dreams grow and come alive, its going to be absolutely amazing! Wow. And as for little Rocket, how cute is he! I love the bath being put to use. And we will all still be here when you have time to post. Meanwhile the best of British to you all!! Such excitement! It must be fantastic to see your dream start to come true. It sounds like a lot of hard work, but it also sounds like the end result is going to be breathtaking. My suggestion for your dilemma of no time to blog would be to do picture posts. Just have a two sentence intro, then put up a string of pictures with captions. 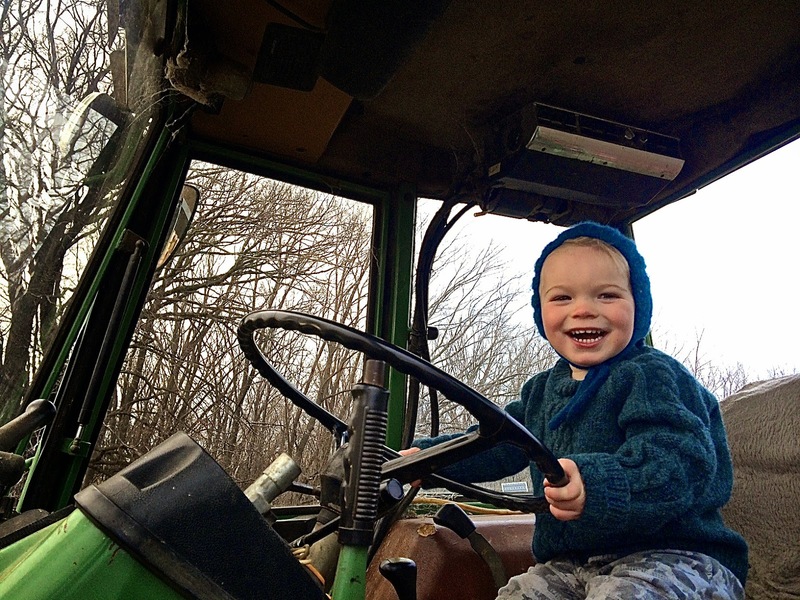 Your photos of your family and the area where you live are always so captivating, and it would have the added bonus of recording the progress of your farm development. I've been waiting for this post! So exciting to get this far, but so much work to do - I hope the weather holds out for all your planting. Keep us posted when you find the time. Wow! Thrilling and exciting, you've taken your brush to canvas and your dreams are materializing furrow by furrow! Wow, what absolutely amazing views! The landscape looks so vast and wide open. I have never seen such mass plantings before - that picture of all of the bare root plants and trees just boggles my mind! What an endeavor. Good thing you have something cute and furry to break up all of the work, even though it has to be terribly exciting also! Wow what a huge and massively exciting development! In one of my favourite places in the world too. It's going to be amazingly beautiful. Congratulations! Your new puppy is just adorable. I can't wait to see what your place will look like when all the hard work is done. Congrats guys, so pleased to see all your hard work coming to fruition, and hopefully we'll get to see it in early 2016 as we are planning a family holiday to Tasmania. Keep the blog posts coming when you can find the time. Ha! I don't speak nicely to anyone till I have one tea under my belt and I stop slurring after two! The second often is sipped in the car on the way to school. I know how you feel about the blogging time but at least you have something very coo to blog about! Gosh, so much hat happened and so much work to do! Good luck with it all, it's very exciting and I'm looking forward to seein.it all take shape. Love rocket too! Wandering amongst the newly planted fruit trees must feel like you're in a bit of a dream. Just think of these photos in the years to come when the trees are laden with fruit.. you're doing an amazing job. Wow - it looks so exciting. We are in the planning stages of projects at the moment, and I imagine it must be so great to have some action happening after waiting for so long. Even if you are completely run off your feet! We are hoping to get to Tassie in a few years - we will have to stop by! I haven't visited your blog for a while and holy crap has a lot gone on in the mean time!! I am amazed and awe-inspired by your ambitious plans. I wish you all the best with the planting and can't wait to see some gorgeous fruit pics one day! Wow - big changes, but all very exciting, and those views! Better not let my daughter see Rocket - he is adorable! Dear Mel, So sorry to hear about the loss of your dog too, they will always be there in our hearts and memories. You have been so busy with so much planting! I hope you have a very good first growing season. It must be wonderful to see the next stage of your plans being realised despite so much work! P.S. Happy belated Birthday to Eleanor. I read over on Fiona's blog that it was her big day last week. Hi Mel, looks like I'm late to this party, having only just discovered your blog. All those bare root stocks took me back to being age 11 when we upped sticks to the country and my dad started a fruit farm. 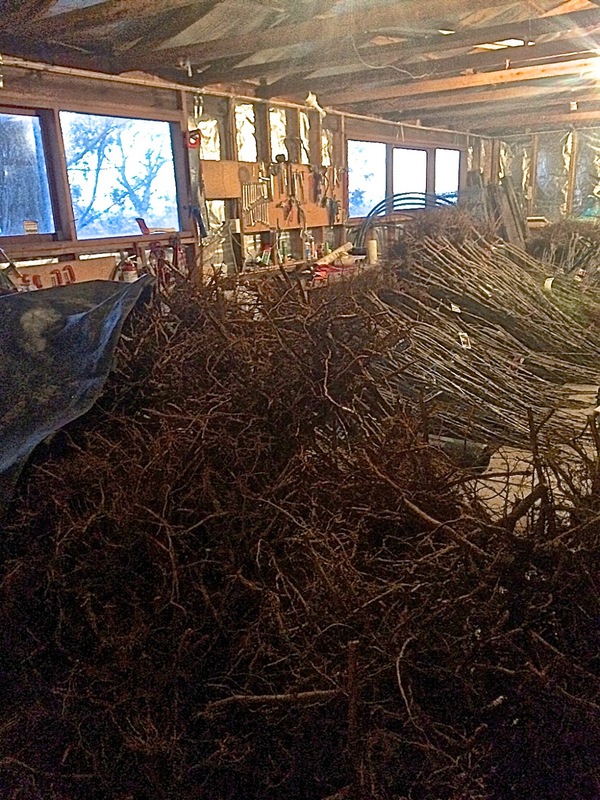 1500 trees he planted by hand: Victoria plums and 5 varieties of apples. I also remember picking courgettes by moonlight to make sure they were regulation size and not turned into marrows overnight! I wish you all the best with this project!